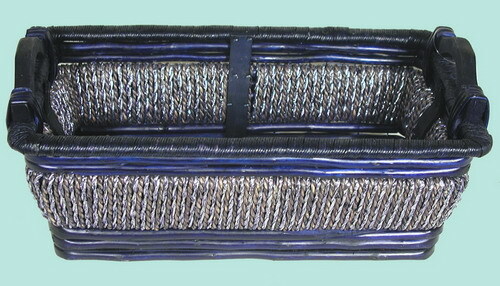 This basket is made of rope and willow woven with silver strands. It makes a great Judaica gift. It measures 14.5" long, 8.5" wide, 5" high. The dimensions are based on the outside measurements. It is prefinished in Blue.